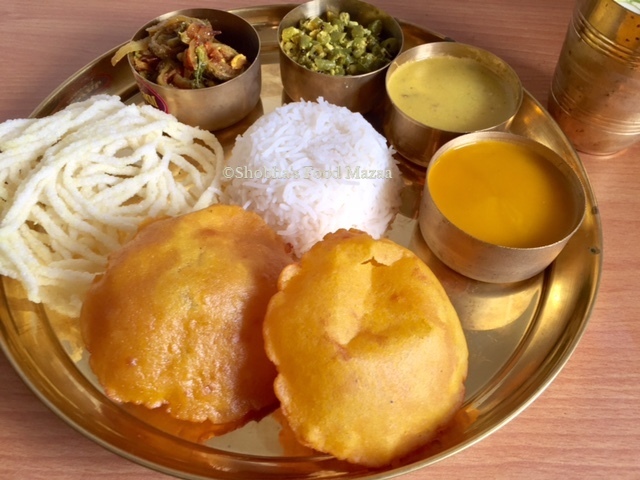 This is a traditional recipe of aamras from Karnataka and Maharashtra. In Karnataka it is known as Rasayana while the Mumbaikars call it Aambyaachi Shikaran. 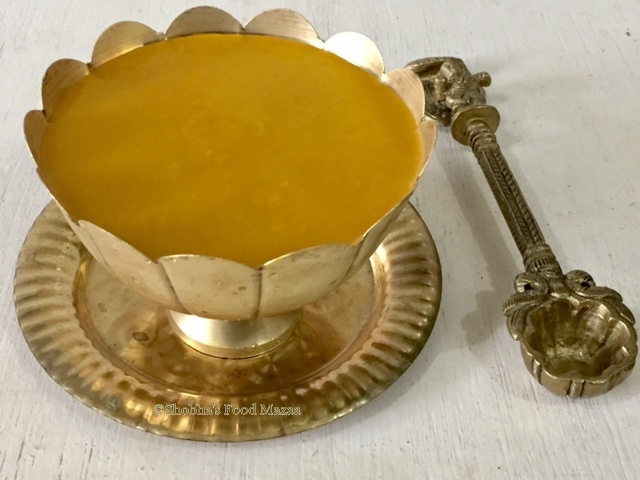 It is basically mango pulp with some jaggery or sugar, milk or coconut milk and cardamom powder for flavoring. My personal preference is coconut milk any day. Shikaran or rasayana can be relished all by itself or eaten with neer dosa or puri. The traditional method of making it is by squeezing out the pulp from the ripe mangoes by hand but these days people just use a mixie. It is a perfect summer treat when mangoes are in season. Salt .............. 1 pinch to balance the flavours. 1. Wash the mangoes and wipe them dry with a kitchen cloth. 2. Squeeze out the pulp in a bowl. 3. Mix the jaggery powder well until it dissolves. 4. Add the cardamom powder and salt. 5. Stir in the coconut milk and refrigerate until you serve. I love aam ras but never tried this combination. Adding jaggery and a bit of salt must give this a caramel type of a taste. I really like your new blog header . Thanks Mina.. even I tried for the first time. Tasted good. Same here.. simply love aamras and any dish made with the king of fruits,Mango. New props Shobha? Like them. Normally Gujarati aam ras we don't add anything. However if the choice is between jaggery and coconut milk, I take coconut milk any day. Thanks For liking the props Mayuri..I had got them some time back from Hyderabad. Now I got some from USA too.